Do you sometimes find yourself reverting to driving home to an old apartment or old job out of habit? Do you automatically type certain names into Facebook and Instagram not even out of conscious intent, but subconscious habit? Of course you do. We all have habits and our brain is even wired by habit loops. Often, habits can be triggered by a cue and then a reward, so we’re conditioned to maintaining them. This is the real reason why willpower can elude us and we struggle to lose weight, leave toxic jobs, stop smoking/drinking, and make change we consciously want, but habitually resist. The power of habit can keep us brushing our teeth or calling our mothers, but it can also chain us to gambling addictions and manipulative partners. Can also make us better…marketers? Many of the most successful advertising campaigns incorporate the product into consumer habits. 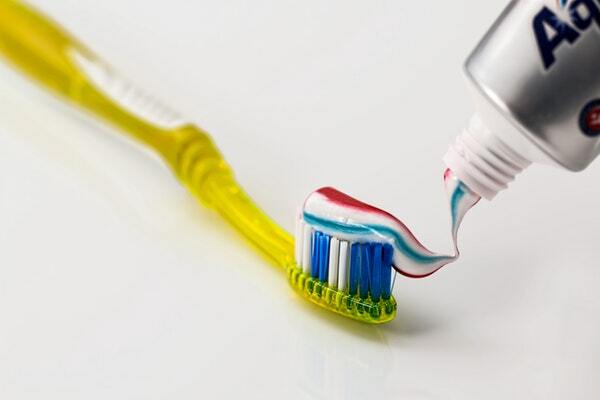 The most obvious product that went from a sometimes to an always is toothpaste! Yes, there was a time when toothpaste was not a given part of everyone’s day. A time when dentists did NOT say to brush at least twice a day. A time when it was in the category of a luxury item and not a necessity. In the early 1900s, an advertising executive named Claude C. Hopkins, took on a Pepsodent toothpaste campaign. Previously responsible for successful Quaker Oats, Goodyear tires, Bissell carpet sweeper, and Van Camp’s pork and beans campaigns, Hopkins could transform unknown products into household names. Toothpaste was no different! No one seemed to care for the facts that toothpaste cleaned teeth or helped prevent cavities. Door-to-door salesmen were going broke selling toothpaste. Toothpaste wasn’t attractive or necessary. Claude Hopkins created a toothbrushing habit by creating a craving, cue, and reward. Essentially, that’s what a habit loop is: craving, cue, reward. While Claude was reading dental textbooks, he came across mention of mucin plaques on teeth. The plaque was considered a naturally occurring membrane that built up on teeth regardless or what you eat or how often you brush. You could get rid of the film by eating an apple or running a finger along your teeth, and naked brushing. Toothpaste didn’t actually do anything to remove this film and leading dentists affirmed as much. But Hopkins thought that this unwanted visual plaque, this “film” that everyone could see, feel, and react negatively to would make a good cue. Just like you automatically wipe bird poop off your blouse, you want to wipe visible film off your teeth. And once you’re aware of that film, you cannot unsee it. So Hopkins emphasized that toothpaste cleaned this film, this decay, and whitened teeth. And while those thing were claimed before, now there was a universal visual reminder cue. The cue was the film. The reward was beautiful teeth. So what was the craving? Now here is where we dive deeper into Pepsodent’s particular success. Plenty of other toothpastes before and after Pepsodent claimed the same benefits of healthy white teeth. But if you look at Pepsodent’s ingredients, there’s citric acid and peppermint, irritants that create a cool, tingling sensation on tongue and gums. Other toothpastes did NOT have these ingredients at the time. They only started to duplicate Pepsodent once they realized that people associated that tingling aftertaste with clean teeth. So they craved the tingle, felt the film along their teeth, and then were rewarded with teeth that FELT especially clean because of the cool minty tingle at the end of their ritual. What we can learn from toothpaste marketing is that if we can create a cue and reward and craving with the product or service we’re selling, we can create customers. Sometimes the cue is as simple as making a problem VISUAL and sometimes the reward is as simple as a millisecond feeling of a tingle. But the power in that creates a habit loop that’s suddenly a part of our daily routine, morning and night. And it’s crazy to think that toothpaste used to be unattractive and unnecessary. Even imagining that some toothpaste didn’t have that familiar peppermint tingle we’ve come to associate as a given surprises us. Toothpaste is so embedded into our routine and lifestyle, that we take for granted any advertising that boosted it. And THAT’S why there’s so much we can learn from habitual products. If your content team can brainstorm a cue and reward and create an appealing habit loop, they are very well on their way to major influence.